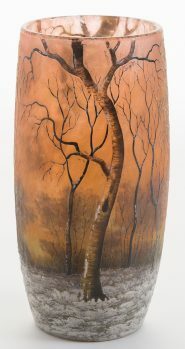 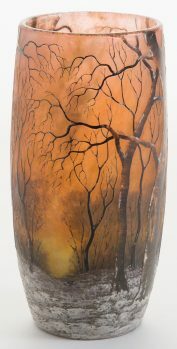 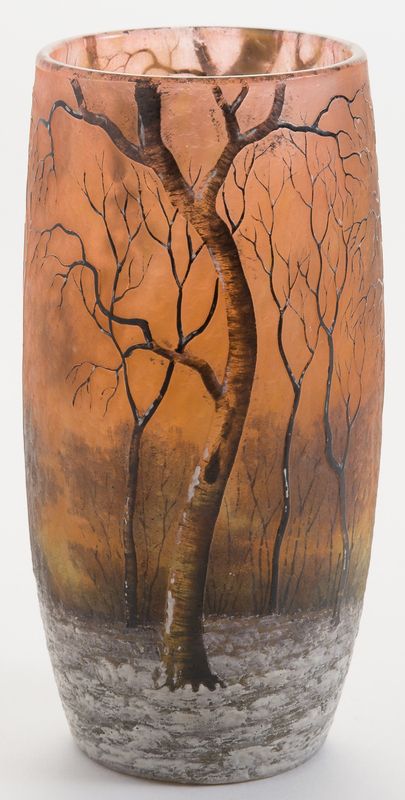 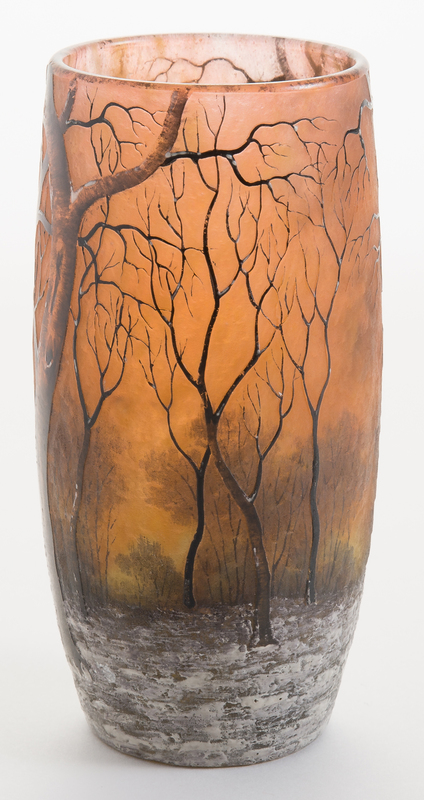 This Daum Nancy winter landscape scenic vase has some of the best colors you will see on this series. 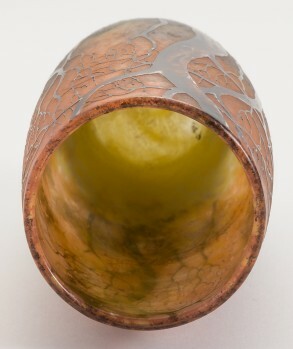 The condition, the enameling, and the details make this a special piece. 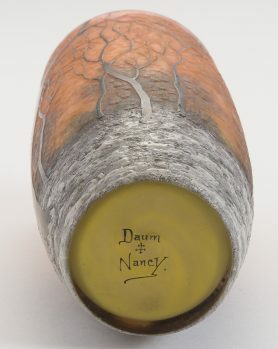 Signed on the bottom of the vase Daum Nancy with Cross of Lorraine. 5" tall.